Intel® Skylake / Kaby Lake (6th / 7th)  H-series Processor and Xeon® E3-1505M v6 Processor. supports to provide its advanced solutions for imaging, machine vision and digital signage applications. 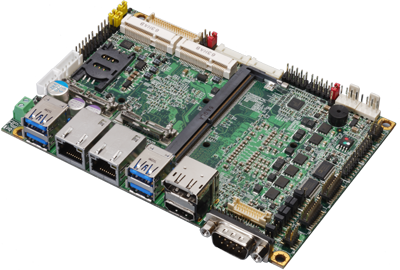 RS232, 4 x USB2.0, Intel® High Definition Audio,  two PCIE Mini card socket or  mSATA. CPU: Skylake / Kaby Lake Intel® 6th / 7th Gen Core™ H-series and Xeon® E3-1505M v6 Mobile processor, FCBGA1440 package. LAN Interface: 2 x Intel® Gigabit LAN. 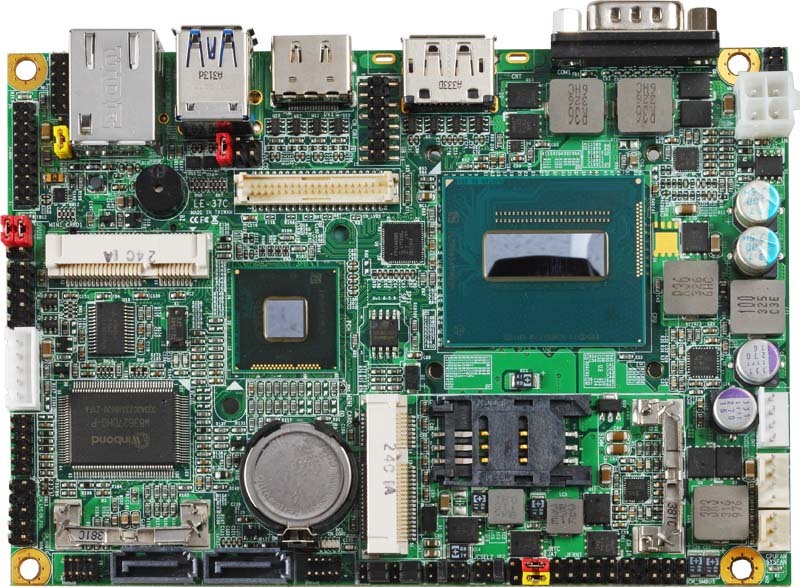 Internal I/O Port: 1 x PS/2, 4 x RS232, 1 x RS232/422/485, 1 x GPIO, 1 x Audio, 1 x SMBUS, 1 x LVDS, 1 x LCD inverter, 1 x LPC, 1 x CRT, 1 x DVI, 4 x USB 2.0, 2 x SATA3, 1 x DC Out,. External I/O Port: 1 x RS232, 1 x HDMI port, 1 x Display port, 2 x LAN, 4 x USB 3.0. 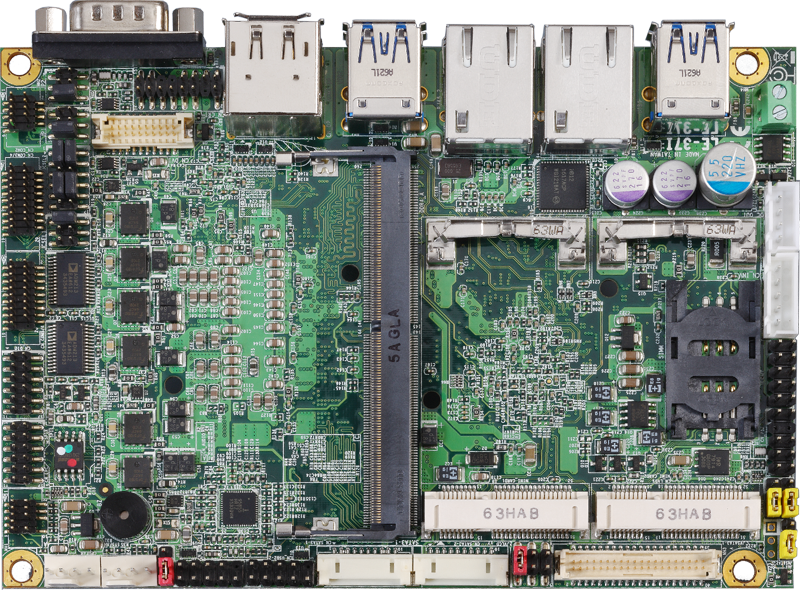 Extended interface: Two PCIE Mini card slots support mSATA, one SIM socket. 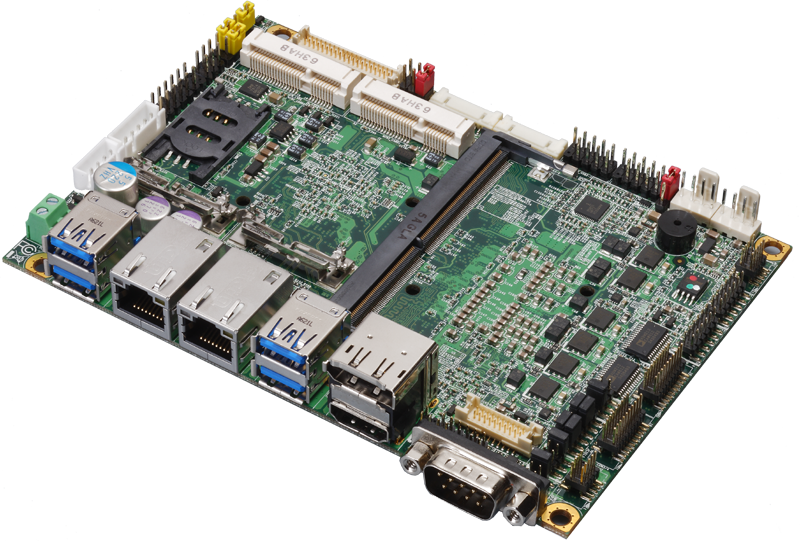 Note: There are two module (ADP-3355NB, ADP-3460E), and you can choose one to support 2nd VGA or 2nd LVDS.